My Vermont vanity plates are gone. I'm officially a New Hampshire resident now. It took me six months to get a driver's license here. New Hampshire would not accept my green photo-free Vermont license because the little numbers and letters had rubbed off of it. This is the same license that had me held in Canadian immigration for an hour years ago. The same license that caused the Canadian immigration folks to tell me to go back to Vermont and tell them to "get with it" and issue photo IDs. The problem with getting a New Hampshire license was that Vermont DMV will not fax information to New Hampshire DMV and New Hampshire DMV will not fax to Vermont. Each state also has different forms with different information on them for me to verify my Vermont license. And neither state would accept the paperwork of the other. After talking to both offices for a long time on the phone and two trips to Concord with different paperwork, I was stuck between two states without a driver's license. I then decided to simply drove to Montpelier and complain about the quality of the green license. I had to go to Montpelier because the White River Junction DMV office (which is 2 hours closer to home) is only open like every other Tuesday and is in a mobile van without a supervisor that can make decisions. In Montpelier, the DMV lady agreed that my green photo-less license wasn't working out so well for me and gave me a photo license for free and I got my New Hampshire license the next day. Sort of. New Hampshire only issues temporary licenses at the DMV. You have to wait 60 days for the real license! And I have heard from others that it can take longer than sixty days. And you are warned on the official paperwork that comes with your temporary license that the temporary license is not an official ID. Wish me luck. The old Vermont plates will be nailed to the barn wall in the spring. 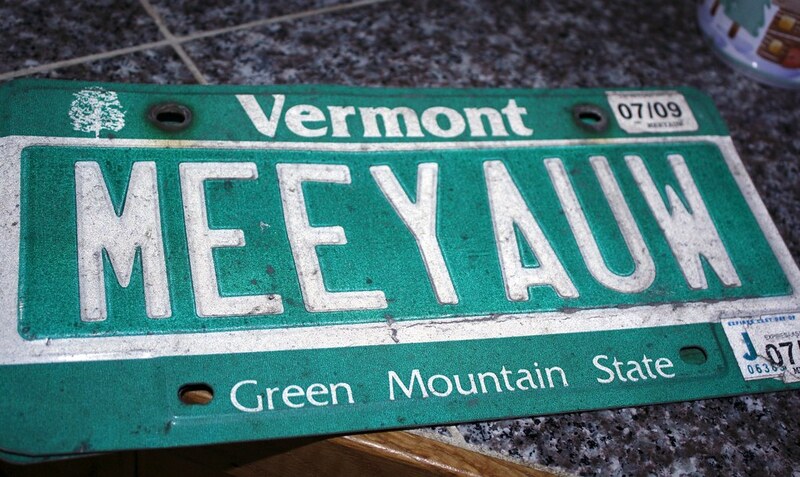 Here's a little bit of trivia - Vermont license plates are the only US plates with debossed (sunken) letters. 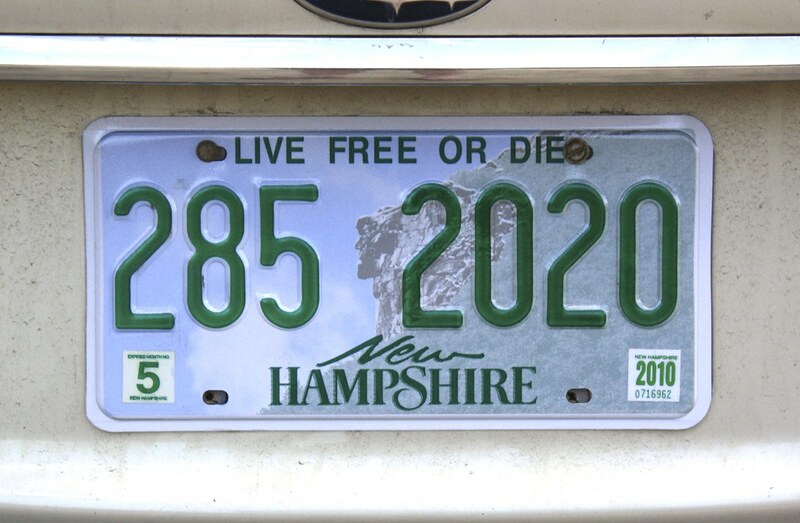 Others are embossed/raised like your new NH plate, and some states are joining Delaware in issuing flat plates. I love info like this, Henry! Thank you for sharing.